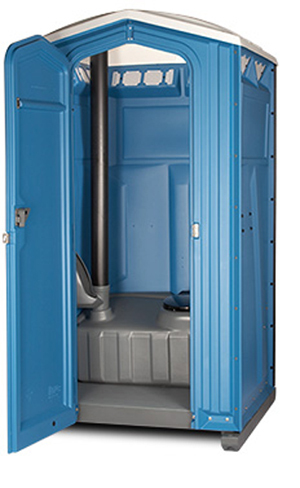 As the name goes, it is the standard portable restroom available on rental basis at Porta Potty Direct. Meeting the generalized sanitary needs of people on outdoor locations like parties, construction sites etc is the main aim of this standard portable restroom. When the word ‘standard’ is used, it’s equivocally applicable to the cost as well. Standard portable restrooms are generally of 4’ wide x 4’ deep x 7.5’ high in size. Amenities offered are seat covers, dispensed soap, paper napkins and toilet paper exclusively.